It’s December and the start of Advent. Before long it will Christmas and we will be celebrating the birth of Jesus and the start of a new year. 2014 is finally drawing to a close and it has certainly been a year of growth for me and the kids. 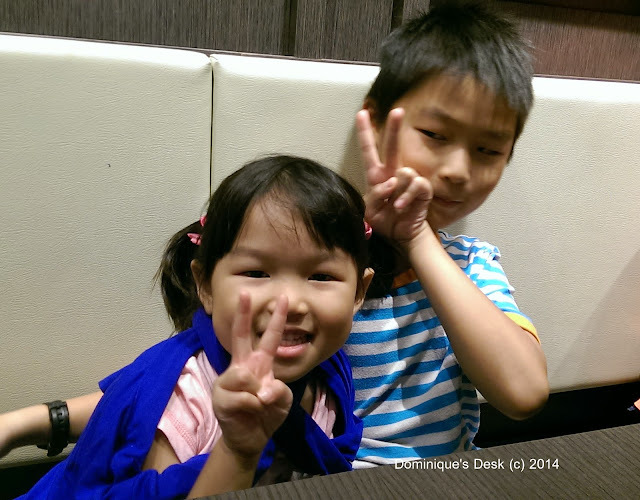 1) November was a month of firsts for Tiger girl. 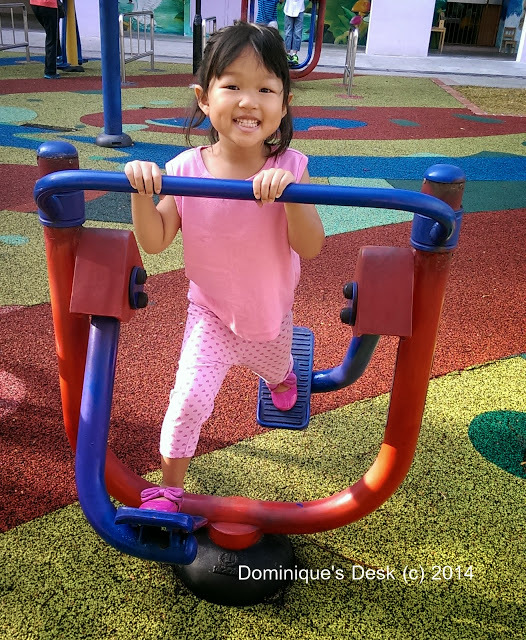 It was the first time that she attempted Rock Climbing at the Rock School in Bedok. 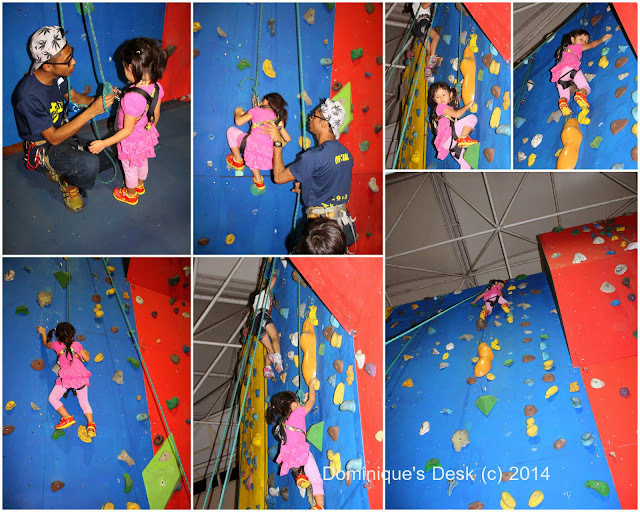 She was the youngest participant at the rock climbing session and thoroughly enjoyed herself. Tiger girl scaling the blue wall to the summit. Tiger girl showed how gung-ho she is when she steadily scaled the 3 storey wall and made it to the summit. Monkey boy and Doggie boy too managed to scale the walls and did it several times during our 2 hour session. 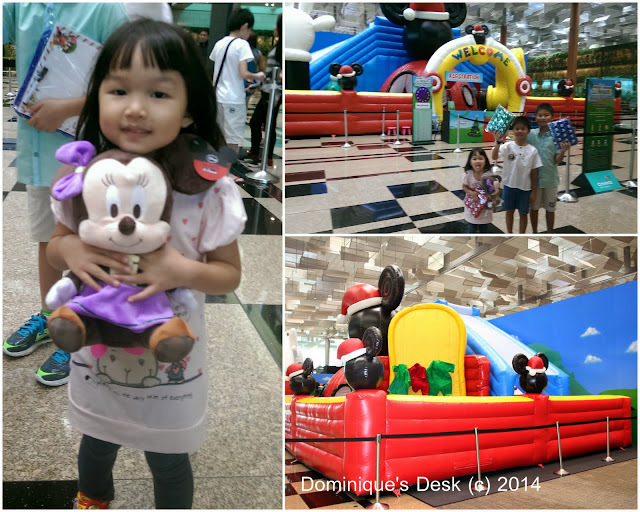 2) Disney has come to town and the kids had the fun at the Winter Wonderland at Changi. We were invited to try out the bouncy castle which they had set up and look at the Disney theme decorations. The kids enjoyed themselves bouncing around in the castle. 3) I did all my Christmas shopping early this year. 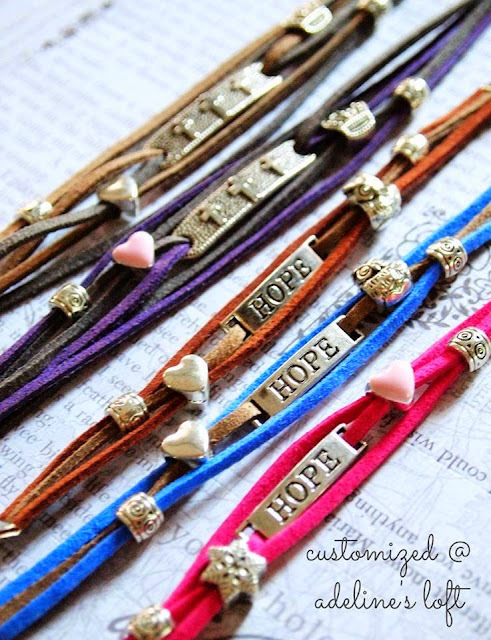 I ordered family braclets from Adeline’s Loft and water bottles from Taobao. Ordering items online has really made shopping so much easier. It also saves me time and money as I get the best deals. 4) It was play and more play as Tiger girl and her brothers went on playdates with their friends. 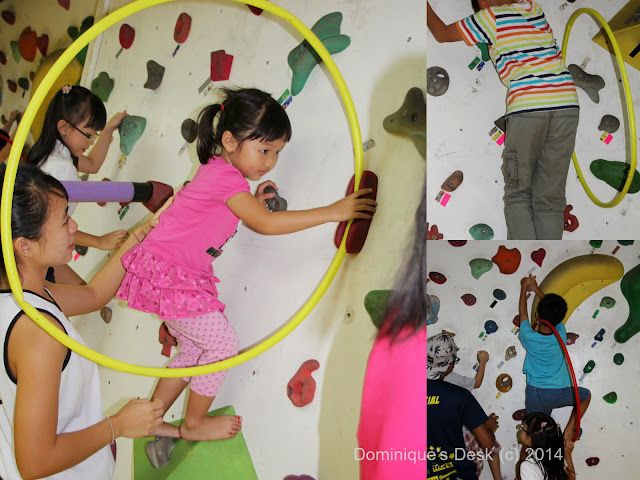 We hosted playdates at our house and also went together to try out the Amped Trampoline park. 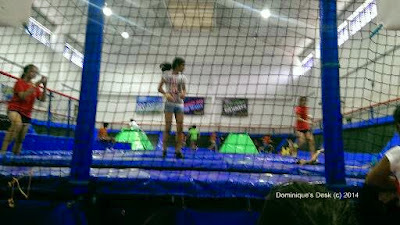 For $13/ hr per kid they bounced around and had fun on the trampolines in this indoor hall. 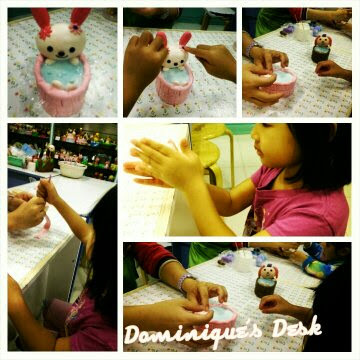 I found it rather pricey however it was certainly a fun experience for them to enjoy. 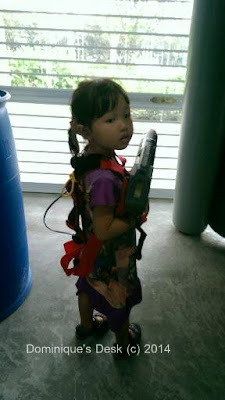 5) Another fun experience the kids had was playing laser tag. They chased each other around and had a good workout while playing with the guns. 6) November being a month of Thanksgiving I focused on various activities which taught the kids about showing gratitude. 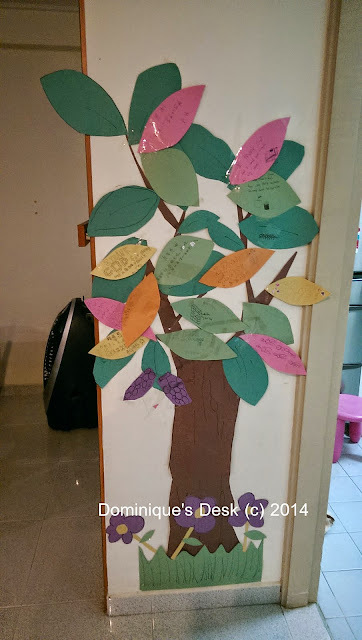 We read the book – Gratitude is a Funny Thing and made up our own Gratitude Tree. 7) November was a month that I opened up and shared some fact on the blog about myself. I have been mentioning more about the kids and our experiences and it was time to give you readers more information about myself. 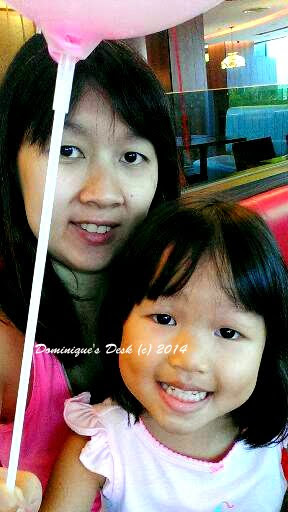 8) We have been going and eating out more that the kids are on school holidays. 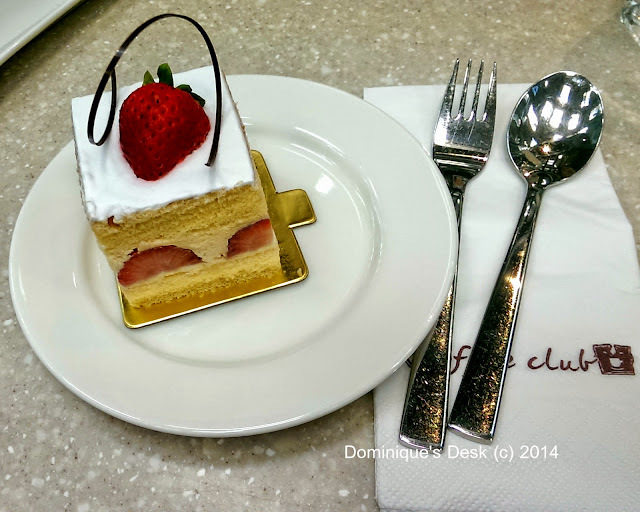 It was the prefect excuse for me to eat cake with them while we were at a cafe. 9) Being positive and having happy thoughts certainly would make life more meaningful. Looking at the happy smiles of the kids really helps to perk up my day. 10) Having fun and enjoying oneself is certainly good. Besides the thrills and excitement one can definitely spend time to give thanks for the blessing that one has received. For Thanksgiving I dedicated a post to my family for all they have given me. They are and always will be my pride and joy and my main source of motivation. How was your month of November like? Two more months to the end of 2014. The challenging days of October are over and the more demanding months of November and December are coming up soon. 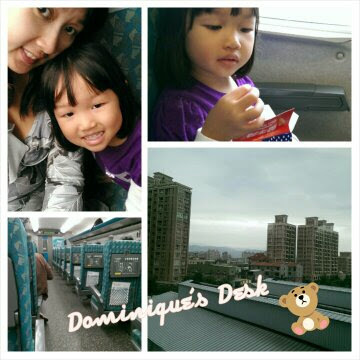 This month I had the opportunity to travel again and Tiger girl and I went on our first Mother and Daughter trip to Taiwan. 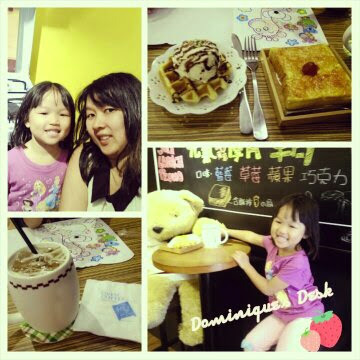 It was a fun eating and shopping trip for us as we savoured the mouth watering dishes that the city Taipei had to offer. It was the first time that I was travelling solo with her however it was not something that made me apprehensive as we travel quite often together. I only had to do some minor adjustments as I did not have extra hands to help with additional luggage in the event that she falls asleep while we are travelling. 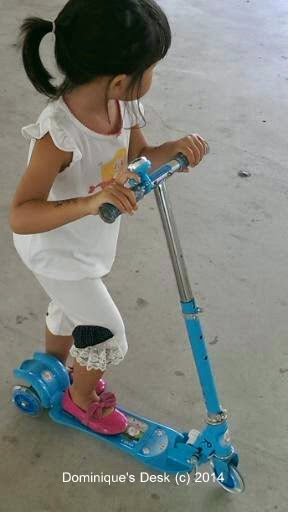 We experience travelling on the various modes of transportation available in Taiwan. 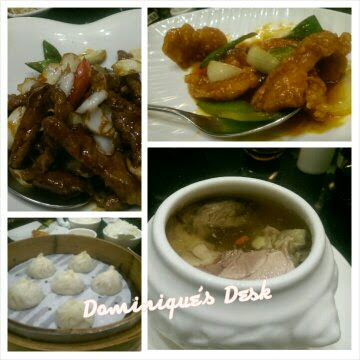 We went around via the subway, High speed rail and taxi to the different places of interest. 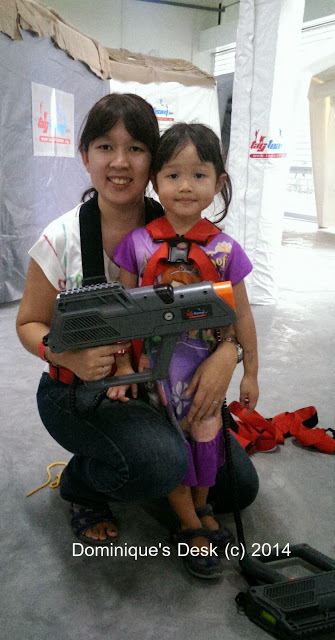 It was raining quite a lot during our stay in Taiwan and I had to look for indoor activities to occupy Tiger girl. 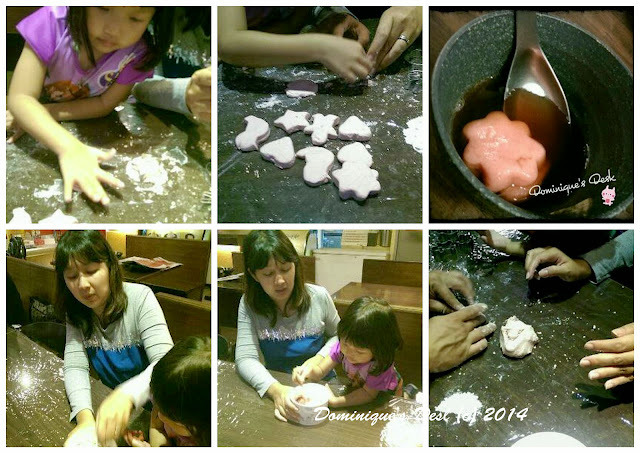 We tried out making Tang Yuan at this cafe. They boiled the Tang Yuan for us to eat after we had made them. Unfortunately Tiger girl didn’t really like the taste and she passed on eating any that she made. We end up doing quite a bit of crafts while on holiday in between window shopping and eating. It was a fun and relaxing holiday for me. Besides shopping we did visit parks and a lake where we saw birds and flowers. There was even a bee on one!! I’ve restarted my drive and embarked on a new challenge now that the prize has been stated and the staked upped. I’ve redefined myself as a Work-In-Progress and am constantly tweaking myself so that I can perform better. I’ve been doing quite a bit of reading to and the latest book which I have read was Small Talk by Amy Julia Becker where I learned how great her commitment and faith is in GOD. She has been given the challenge of bringing up a special needs child and shared with her readers her struggles that she has as a parent. It is never too late to put in effort in building up a strong relationship with GOD and I’ve completed a 8 week study on the book of Esther this month with a clearer understanding of how GOD works his magic.